Madeline Sharples’ memoir began as a collection of poems, that she thought would suffice to record her memories of living with her son’s bipolar disorder and subsequent suicide. In this invited post she explains how she realized poetry alone would not suffice. My memoir, Leaving the Hall Light On: a Mother’s Memoir of Living with Her Son’s Bipolar Disorder and Surviving His Suicide consists of a mix of prose, poetry, and photos. And if I could have put music into it I would have. I originally dreamed about publishing a memoir in poems. I had a finished poetry manuscript early on and since poetry came out almost miraculously from my pen soon after my son died, I thought telling his and my story in poems would be most appropriate. But I was soon convinced the poems could not stand-alone. My book would lack the details, characterization depth, and the thoughts and feelings of my husband Bob and surviving son Ben that were necessary in the telling of our whole family’s story. The poems provided the chapter themes and emotional impact, the prose provided the details and descriptions, and the photos helped to make the story seem more real. Early on my son Ben introduced me to a former literary agent who asked to read the poetry manuscript. After her reading she suggested I use the order of the poems as a way to organize my book’s chapters. And that organization stayed mostly intact in the final book manuscript. This young woman also generously gave me writing prompts that helped me flesh out my story in prose. I worked with her in developing the first draft of my memoir for about a year. As I began to introduce more prose into the manuscript, using my huge supply of journal entries, pieces I wrote in various writing classes, and my advisor’s wonderful writing prompts, I formed chapters each starting with a poem. Then I began to worry that interested agents would reject my book because of the poetry. That concern was not unfounded. As I looked for appropriate agents I found more and more who did not want to be involved in poetry books in any way. I even work-shopped the book and was advised by my instructor to take the poems out. I also remembered the words of a good friend. She told me no one had the right to tell me that I had to take something out of my book if I, the author, felt it belonged in it. So, I kept the poems in although I didn’t mention their existence in my query letters. I thought I’d discuss the poetry later if it ever came up. Even then I was still waffling about leaving them in or taking them out. Although I never found an agent to represent my book, I happily contracted with a small traditional press. My publisher asked me to revise my book in many ways, but her only suggestion about the poetry in the book was that I should add more. She resonated with my final decision to include poetry in my memoir. Madeline Sharples studied journalism in high school and college and wrote for the high school newspaper, but only started to fulfill her dream to work as a creative writer and journalist late in life. Her memoir, Leaving the Hall Light On: A Mother’s Memoir of Living with Her Son’s Bipolar Disorder and Surviving His Suicide, tells the steps she took in living with the loss of her oldest son, first and foremost that she chose to live and take care of herself as a woman, wife, mother, and writer. She hopes that her story will inspire others to find ways to survive their own tragic experiences. Madeline’s mission since the death of her son is to raise awareness, educate, and erase the stigma of mental illness and suicide in hopes of saving lives. She and her husband of forty plus years live in Manhattan Beach, California, a small beach community south of Los Angeles. Her younger son Ben lives in Santa Monica, California with his wife Marissa. Click to visit Madeline’s blog, Choices, and on Red Room.com. Read my Amazon.com review of Leaving the Hall Light On. Write now: if you write poetry, find a poem or few and write a narrative version of the story they tell. Those like me, who lack the poetry gene or muse, can find a photo and do the same exercise. Madeline, I loved how your poems enhanced the prose and even offered solace to the reader. I remember sensing that the poems provided you with some peace and comfort from your grief and that was a relief to me as a reader. I agree the prose was needed to convey the complexities of the story and how Paul's death affected all of you in different ways. The poems certainly added uniqueness and a whole new dimension to your memoir, especially how you were able to heal from such a devastating loss. Very inspiring. Dear Kathleen, I'm so glad you resonated with the poems in my book. I was very adamant about keeping them in. Now I feel my memoir wouldn't have had the same impact without them. Hi, Cher'ley, Glad you found me here. I found that the poems added so much to the telling of my story. I look forward to reading yours. I'll have to admit that poetry is not a natural way of expression for me as either a reader or a writer, but knowing the situation popped Madeline's poems into focus for me. The synergy between her narrative and poetry was powerful. 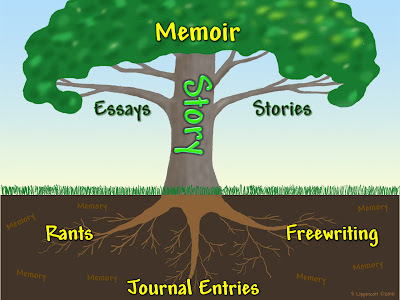 Thanks for the extra link Shirley and the reminder of the effort it takes to complete a memoir. Madeline's message is reaching legions of people! Thank you so much, Shirley. I loved having that review on your site last June. I appreciate your reminding Sharon's readers of it. As always I am thrilled with your generous support. Madeline, with each interview or guest post I read, something new about your writing is gifted to me and others. The concept of starting the chapters with a poem is rich and may draw readers who have heretofore avoided poetry into a new realm of enjoyment. Thanks for being here today. And Shirley, thanks for inviting Madeline! Thank you so much, healing by writing. It was scary to venture into the poetry aspect of my book, but I'm very glad I kept at it. So many people think it enriched my story. Poetry is so much more personal than prose, and I couldn't have written my book any other way. Ah, the wonderful light of poetry. I hope publishers become more creative in the coming years. Forcing a traditional path on every book and author is clearly limiting. You are so right about publishers, but here's good news: publishers don't have to become more creative, because the day has come when we can each be our own publisher, freed from traditional constraints. I've written several posts about Print-On-Demand (POD) publishing as well as eBooks. Although some do still opt for traditional publishing, there is no stigma attached today to doing your own thing, and for those resourceful enough, or with a big enough stable of helpful friends, it doesn't require a single penny of cash investment. Others may prefer to pay for editing, layout, and cover design, but YOU are in control either way. Dear Daisy, Thanks for coming over here. You are always a breath of spring in my life. You have definitely been part of my village of helpful friends - especially in showcasing my book. I agree with Sharon, we authors must stay in control. Even though I went with two traditional - yet small - presses, they always gave me the final say. It is our work, after all.